Ah, the lure of the islands! (Especially in the middle of winter!) 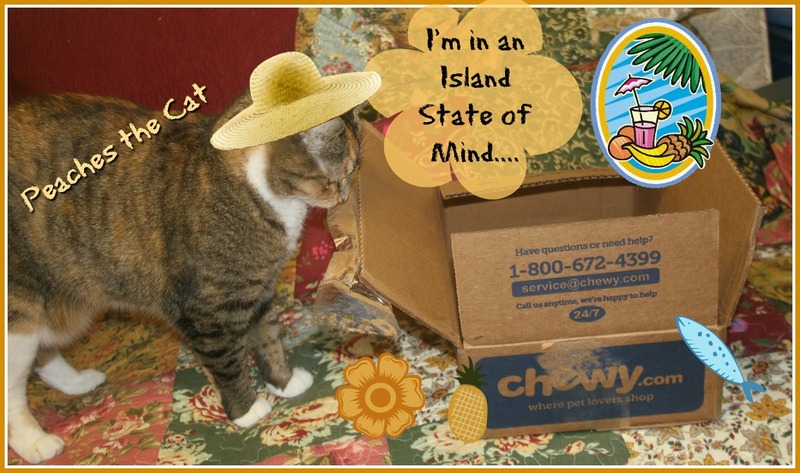 We felt that island pull most deeply when Chewy's latest box arrived and our human, being part of the Chewy Influencer program got to offer us its delicious contents! 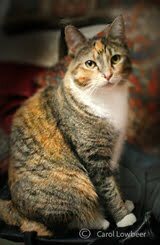 Our human even created a video about Tiki which you can view HERE. 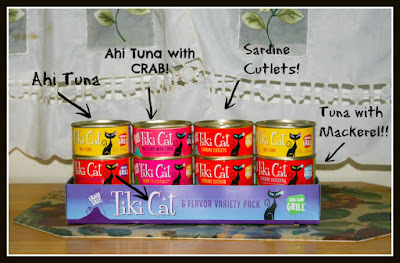 Tiki Cat canned cat food especially caters to "fussy felines" (that's us!) with human grade shredded or sliced meats & seafood, grain-free with lots of protein! We knew immediately that when the chewy box arrived there was something very "special" in it! The variety pack we got contained four different varieties of delicious seafood: Ahi Tuna, Sardine Cutlets (wow, we hardly EVER see those!, Tune with CRAB, and Ahi Tuna with Mackerel! 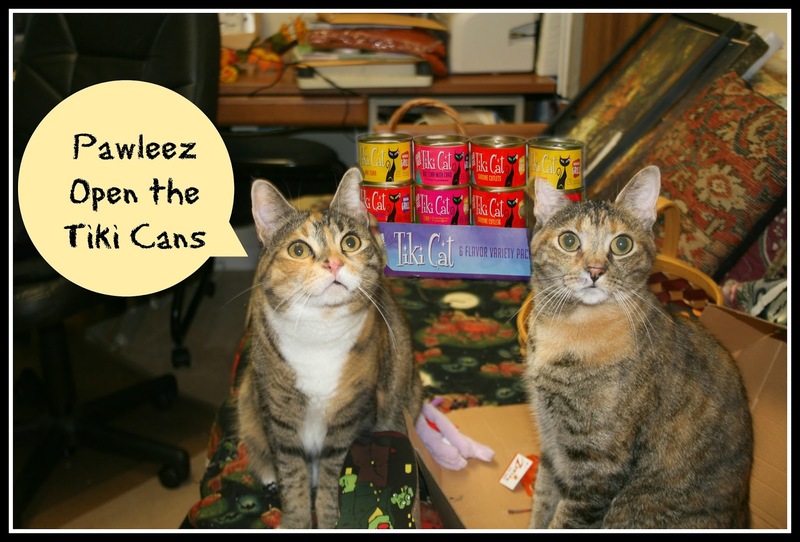 Of course it was a while before we even got our human to open the cans cuz she was having so much fun looking at the colorful pictures. It was necessary to take drastic measures so we pulled a favor from an "outside contact" and acquired island costumes! We figured this would impress her so much that she would HAVE to open those cans! 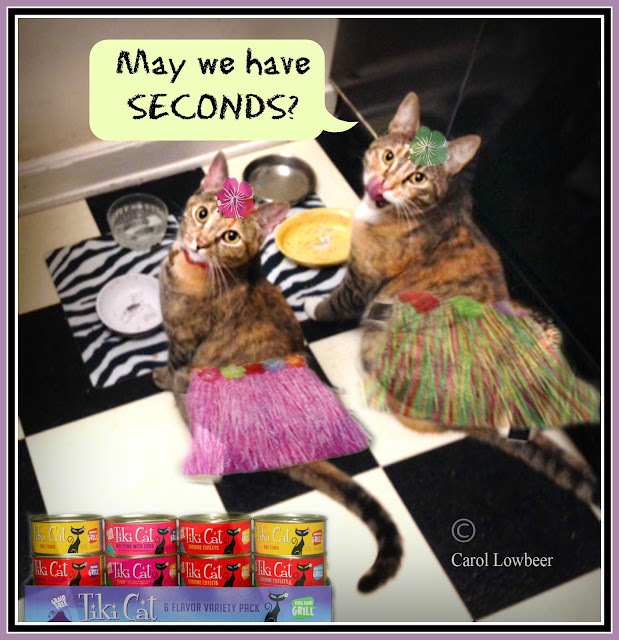 To be on the safe side we decided to don grass skirts in case she changed her mind about feeding us. That way she'd be impressed and we'd get our way! Do we look island or WHAT?!!! Well we ate and ate and guess what...we wanted more! Naturally after waiting all that time. It doesn't hurt to ask, does it? What do YOU think? did we get seconds? Well in addition to tasting this delicious, healthy fairly low calorie food which we'd never had before, we got to celebrate the occasion and boy did we have a good time with all the different flavors, just thinking about them! We're going to try the Ahi Tuna next! 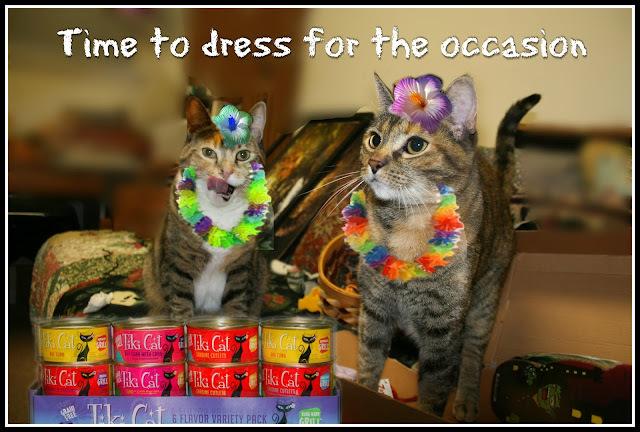 THE TIKI CAT KING KAMEHAMEHA LUAU VARIETY CANNED CAT FOOD can be ordered through Chewy.com, and you will get a case of 12 sumptuous 2.8 ounce cans like we did to savor and enjoy! 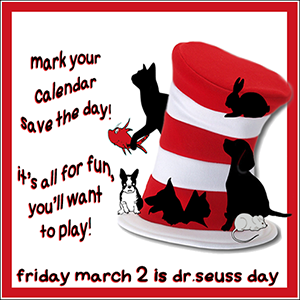 Discounted cost is $11.18. Free shipping on orders over $49. 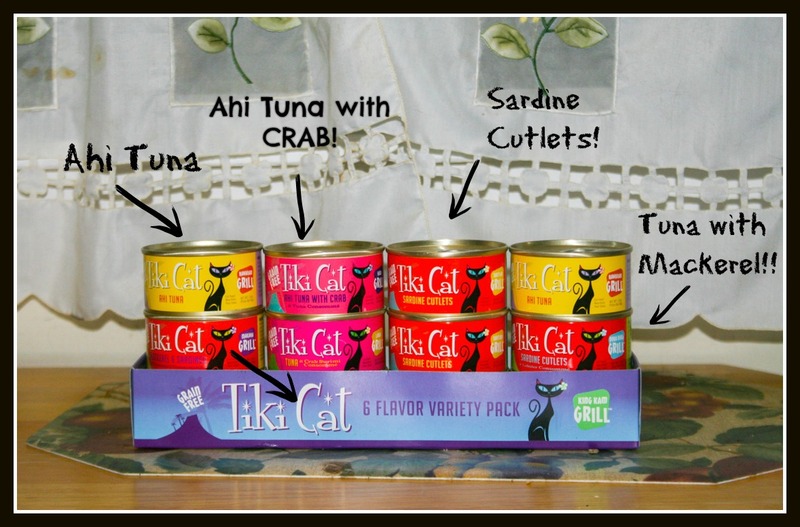 Disclaimer: We were not compensated for this review but got a 12 pack of Tiki Cat King canned cat food in change for our honest review. Well honestly, you will be verrrrry happy you ordered this fun and healthy variety pack! 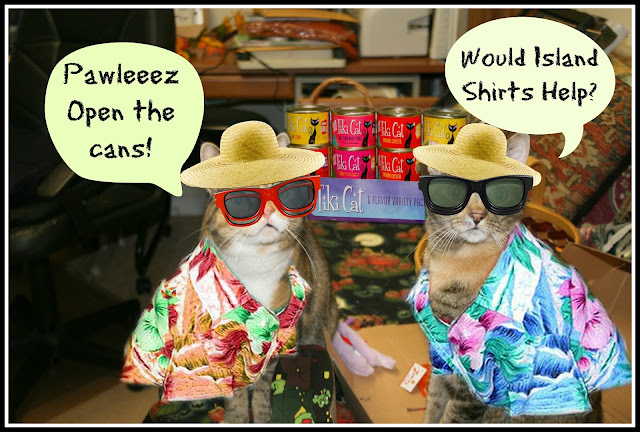 Wow, you two really got in the island spirit with this review! Love it! Yums! That sounds tasty, and we bet it was even tastier with all your island décor! 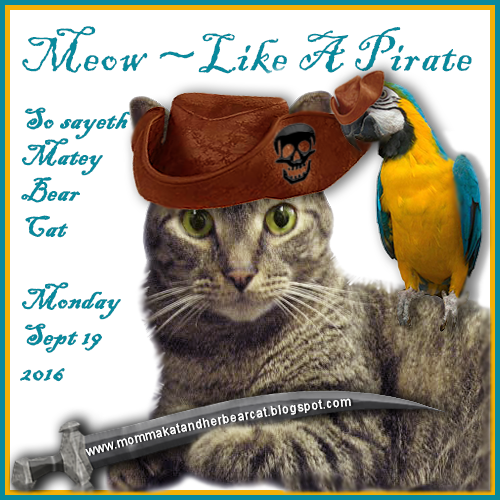 Oh we read on other blogs that this stuff was DY-NO-MITE Delicious! Makes me wish I wasn't an Angel so I could have some! Oh you girls are so funny! 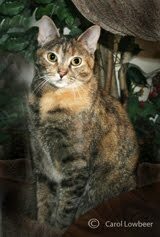 We like Tiki Cat foods too...but we don't get it very often. Great review! 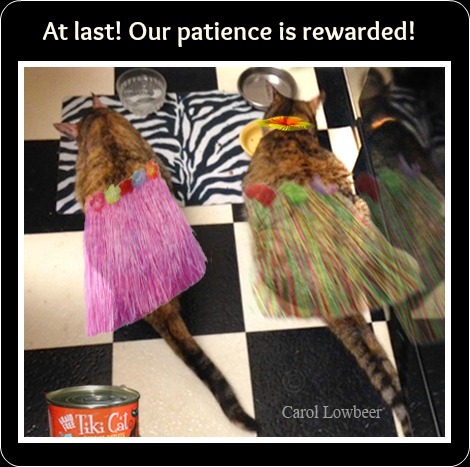 You ladies look great all dressed up in hula skirts and Hawaiian shirts. You ladies are drop dead gorgeous!!! 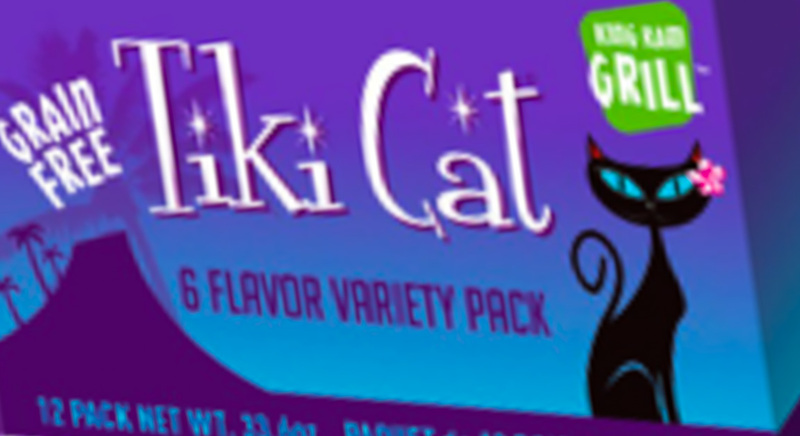 And we agree, Tiki Cat has the cutest packaging ever!